In the previous post I elaborate some basic ways that things change. In this post I’m going to discuss another fundamental aspect of change – an aspect of the physical condition. In broad terms the measurable world is divided into extensive and intensive properties. The extensive properties include the basic ways we would measure a physical object – length, width, breadth, volume, mass, etc. Change of extensive properties often represents a change in amount or shape of whatever is being measure. Intensive properties are measurable domains such as temperature, pressure, density, connectivity, conductivity, viscosity and malleability. These sorts of properties are not additive in the way extensive properties are. For example to make something hotter one either has to add some more of the same material or stretch the material (likely making it thinner). But making something hotter requires an increase in energy but not any addition of material. What really interesting is that phenomena that are measurable by intensive properties are subject to a particular type of change called Phase Transition. A phase transition is a very dramatic type of change within a very narrow band of measurement. 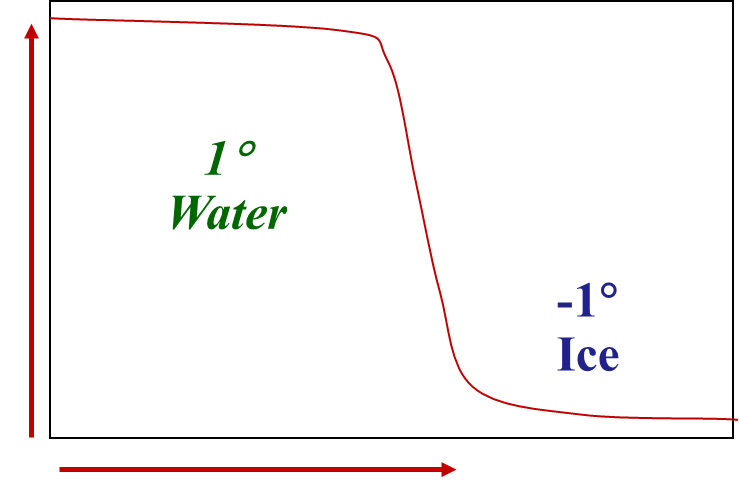 Such as when water turns to ice – which happens as a singular threshold of zero degrees Celsius. Two completely different ‘substances’ or ‘conditions’ are evident on each side of 0 degrees – on one side is a fluid and on the other side we have a solid. The curve of a phase transition can look almost identical to the curve of an exponential change, phase transition’ is different in that it is a fundamental change in the nature of a medium that seems to happen magically at a single point of transition. This type of change is very difficult to anticipate unless we have already experienced it. Trend analysis does not prepare the observer for this type of change. Another example occurs in some types of dynamic system when a phase transition threshold occurs resulting is proliferating bifurcation. What happens in this case, is when an apparently, smoothly progressing change reaches a certain value and the system experience a sudden qualitative or topological change in its behavior. The graphic illustrates better than words. This first graphic is the classic bifurcation graph. 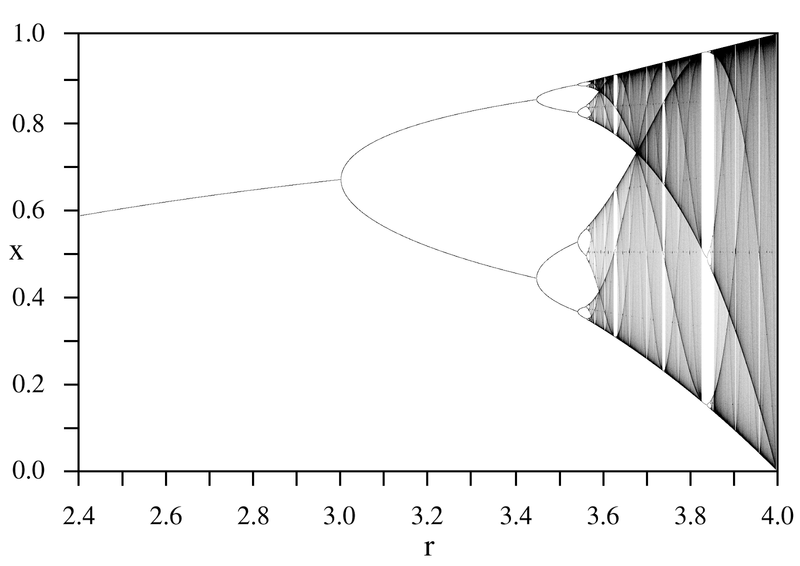 This second is a bifurcation fractal. Why are intensive properties and phase transitions important to understanding social and technological change? Among many properties describing human societies, population density and connectivity represent fundamental intensive properties with significant social and structural implications. What does a phase transition look like in a social context? As human populations experience increases in density we see critical phase transitions that enable divisions of labor to proliferate – in ways that create new types of societies. For example, when humans were hunter-gatherers local groups generally never exceeded a population of 150-250 – a density that can only sustain very rudimentary divisions of labour (e.g. elder, adult, child, male-female, hunter-gatherer, shaman-healer, etc.). Social groups with this level of density (and number) are also vulnerable to easy loss of specialist types of knowledge gains. If one or two people become more specialized because of innate talent as well as having time/space to develop a particular skill/knowledge then the group can become dependent on them. If one or both are lost through disease or death – that knowledge is lost permanently or has to be developed anew. As humans became agricultural societies – local groups were able to increase population densities (by exponential amounts in some cases). This enabled a phase transition where many more permanent divisions of labor, and whole new occupations arose, each occupation also becoming a domain of specialized knowledge – which enable unprecedented new ways for a person to ‘be’ in society (e.g. a shoe-maker, tailor, baker, herbalist, etc.). New institutions become necessary as well. The agricultural society was more than a large gathering of hunter gatherers who could farm. Agricultural society required a new institutional framework with many new institutions, and conventions. Along with increases in population density and new division of specialized labor came a necessary increase in the levels and types of exchange – in turn creating new forms of interdependence. The rise of civilization was a phase transition enabling and enabled by the increased population intensities of large city-states. A similar phase transition occurred in the course of the emergence of the industrial society – exponential rise in population density, more levels of specialization, more exchange – whole new institutions (e.g. enablers for the governance of market and democratic political economies, public education, impartial justice, etc.). Other types of ‘intensity’ create conditions for changing the conditions of a social context, even those, with a relatively stable population density. For example, the emergence of new communication technologies that enable increased densities (through the sense of collapsing distance) and/or increased connectedness. In the industrial era collapsed distance with the development of the steam engine, rail-based transportation and the emergence of the telegraph. Understanding the impact of increased population, connection and communication ‘densities’ can help us to imagine the potential of the emerging digital environment. Social media has been described as an exponential increase in ‘density’ of communication and connectedness. However, the rapid evolution of the Internet and the Internet of Things (IoT) is more profound than the impact of social media. At this point – it seems I have fallen into a line of logic that impels me beyond the elaboration of just intensive properties and into an elaboration of the future plausibilities of the intensiveness of the digital environment. 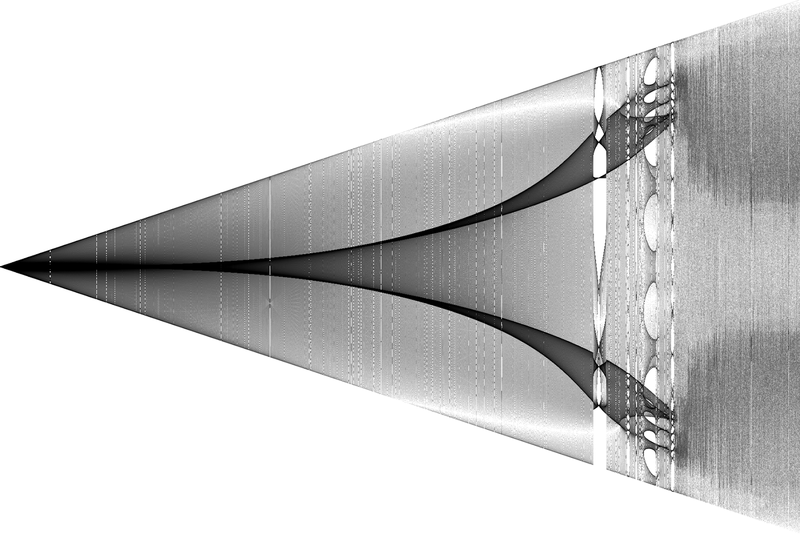 So I will continue – but I will next discuss in more depth concepts of Causality. The digital environment is fundamentally disrupting the industrial economy, its institutions and its organizations, by enabling conditions that inevitably favor hyper-connectivity which inevitably leads to a hyper-division-of-labour (or hyper-specialization). This in turn entails a requisite hyper-exchange. Together hyper specialization & exchange produce a hyper-knowledge-metabolism. If Social Media is the Medium,Then Social Computing is the Message.This entails that Organizations cannot be Architected as ‘manufacturing machines’.They must now be Architected to be Programmable, Complex Adaptive Systems. For McLuhan, a Medium was anything that extended the mind, body or senses. By this definition a Medium could be a new technology, process, idea or original creative work. However, for McLuhan the message of a Medium was not its contents. The message only becomes clear in the resulting differences in human interactions and activities. This means the message is perceived in the differences that arises in changes of scale, pace, scope or pattern that a medium causes in us as individuals or as a society or culture. These changes (Message) are distinct from the content of the Medium. Thus it is not the information conveyed through the Medium but rather it is the Medium’s ability to change the way we act or perceive, that is the key factor that enables us to realize and understand a Medium. Social computing then is the capacity for a large network or ‘swarms’ of people to explore in parallel, a problem space and produce a range of effective solutions, and/or produce a good or service. Examples include Wikipedia, the many Open-source initiatives and the increasing use of crowdsourcing, and crowd-funding approaches as new modes of production. 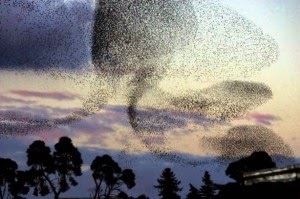 As swarming suggests, social computing is self-organized collaboration, that depends on participants performing without centralized direction of coordination. To perform without centralized coordination means that participants have to be increasingly self-directed and socially aware – e.g. responsibly autonomous. Social computing then as self-organized collaboration requires a different organizational operating system – such as ‘network individualism’ proposed by Barry Wellman. A programmable organization depends on social computing for the rapid and agile generation, assemblage and harnessing of knowledge networks, as and when needed. In using this phrase we assume that knowledge (as opposed to information) only arises in embodied minds. In this way a programmable organization enable the assemblage of people to harness increasingly specialized skills, talent, knowledge, and motivations. What all of this implies is that the traditional ways of organizing efforts – through re-configuring and retooling hierarchical organizational processes, or re-architecting traditional management/leadership structures, occupational frameworks, job descriptions, etc., will no longer be adequate for survival. A programmable organization has to rely on the responsible autonomy of its participants and their capacity to embrace networked individualism, as a social operating system. For example, a computer is a general purpose programmable machine. As such it doesn’t require a hardware reconfiguration in order to run innumerable applications, rather such a system only requires a different set of instructions. This is unlike the many current industrial enterprises which must reconfigure their organization charts, reporting relationships and physical accommodation in order to enact organizational change. A digital and human medium of hyper-connectivity, propagates a phase transition to hyper-divisions of labor, hyper exchange & hyper knowledge metabolism – a form of “hyper conversation.” This implies a faster rate of innovation, as the more we can exchange the more likely we are to experience serendipitous insights & inventions. In the emerging world where everything that can be automated will be, the emphasis on insight, invention, and innovation forces us to think about what are the activities that humans tend to be best at. If we can meet this challenge we will be in a position to create new forms of wealth – the wealth of people. This line of reasoning has taken me from an effort to elaborate the concepts of intensive properties and their social consequences in the 21st Century. However, before I can pursue the implications of this line 0f reasoning on the social construction of identity, I will have to explore some concepts of causality – the nest blog. Wellman, Barry; Rainie, Lee. 2012. Networked: The New Social Operating System. MIT Press.